Over the last couple of years, Kabini Amin has illustrated three wonderful books for Pratham Books. 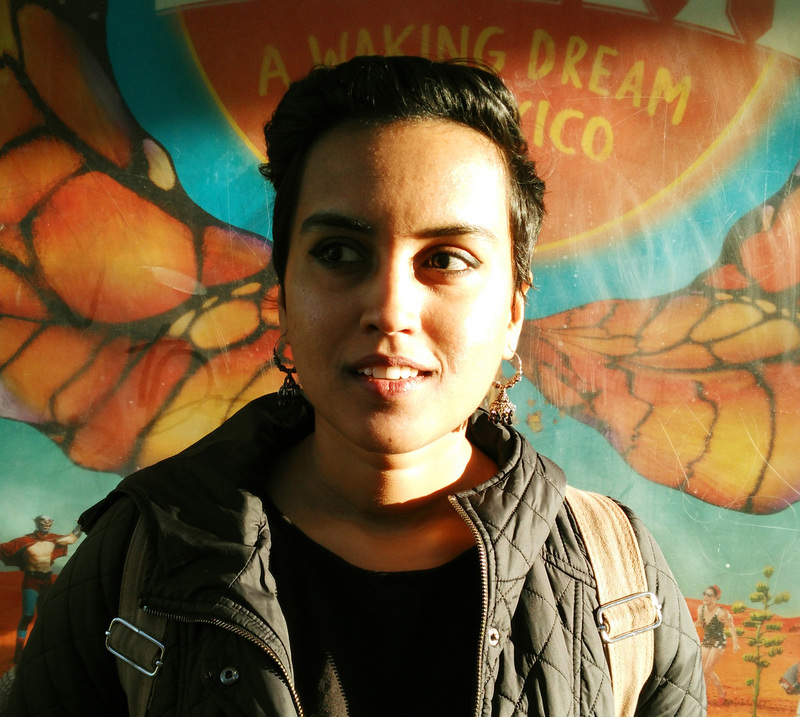 In this short e-mail interview, Pratham Books editor Zeba Imtiaz talks to Kabini about her illustration process, approach and inspiration. Do you think there's a difference between illustrating for adults and children? Not particularly. Over time I've come to realise that there's a child in each of our adult-sized bodies, and every child is a complete person in themselves. The more kids I meet, the more they blur these differences between 'adult' and 'children' for me. Same holds true for the adults I meet too! I might tweak my vocabulary a bit here and there, much like when we talk to children, but I think the last thing they need is to be talked down to, and that should reflect in the pictures as well. Having said that, what I enjoy the most about illustrating for children is the room that the genre allows for being whimsical, silly, playful, as compared to content for 'adults'. Which is sad because we all need more of those qualities in our lives! A greater difference exists, I think, in illustrating for people of different cultural and soci-economic groups. It is here that one has to take into account visual literacy and language, and that's really what can be challenging, and interesting as an illustrator. Your style was very varied in Dum Dum-a-Dum Biryani, Kalpana's Cycle, and Creatures of Old. How do you choose a particular style and medium for a story? I think I mostly let the style choose me! Every time I've tried to be bullish and enter a project with a style in mind, it has ended up being a block. For me, the content and tone of the story are what first inform the style. Of course, as an illustrator, I bring in my perspective through the choices I make; do I supplement or subvert the content? What additional information can I contribute through the visuals? What visual mischief can I indulge in? And it is this kind of questioning that helps me craft a particular style for a story. What kind of research and preparation goes into illustrating a book for children? For instance, what research went into illustrating 'Creatures of Old'? Like I mentioned earlier, I think the preparation does depend on the kind of audience of children being addressed. 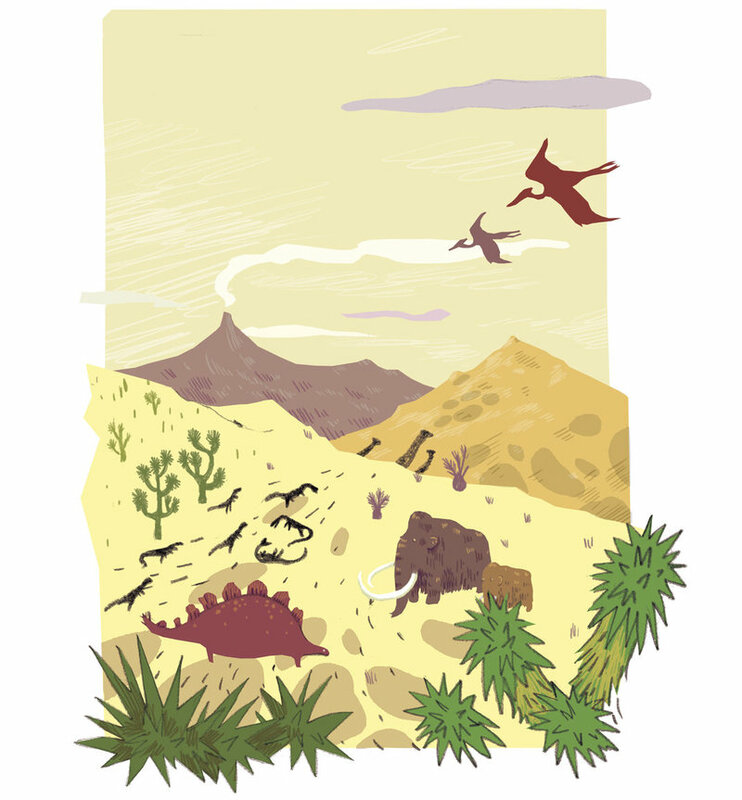 While illustrating for 'Creatures of Old', I was quite lucky to be living and working amongst biologists and herpetologists who enthusiastically shared with me books and photographs of fossils and various reptiles. I also spent some time stalking chickens. 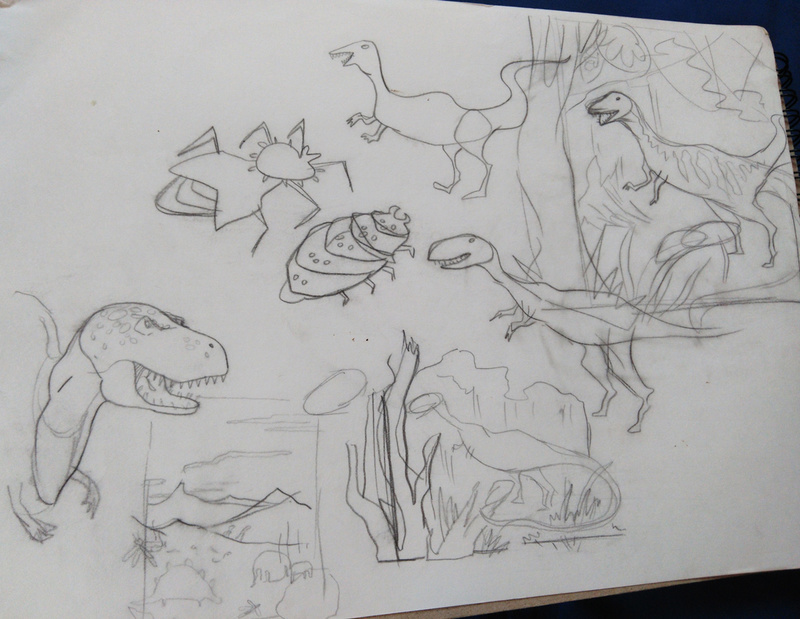 So there was some amount of study of reptiles and birds that went into the drawings. 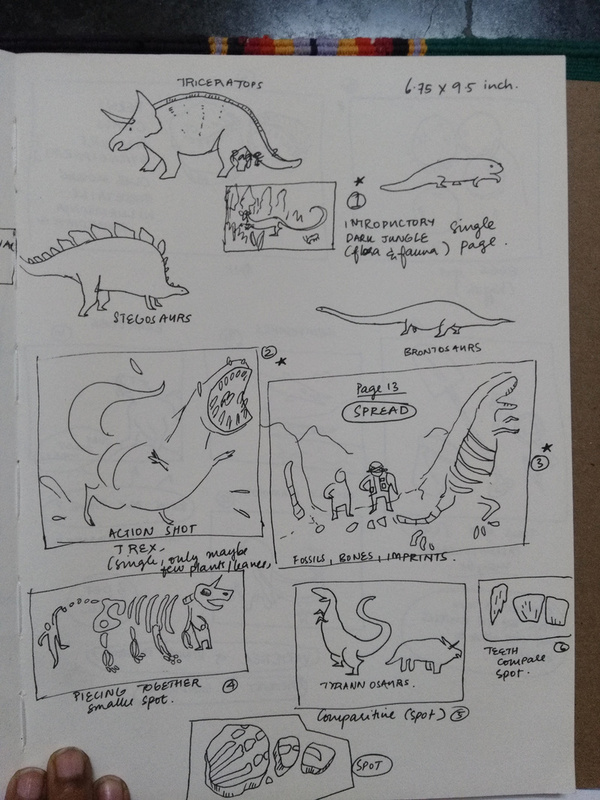 But, more than deep dives into anatomy and such specific research, I had a central question; how can I depict dinosaurs? I was never much of a dino nerd, even though I'm really into biology, and I never really cared for the fanged and hyper muscular depictions of dinosaurs in popular media. I wondered if I could show these animals as goofy beings, bumbling and crashing their way through primordial forests, and paleontology as a wondrous science that solves the puzzles of our biological history. How do you find inspiration for your work? Inspiration is everywhere, really. More often I'm fighting an overflow of ideas rather than a lack of it. But if I am feeling dry and dusty, I try to step outside, go for a walk, or play with an animal, buy groceries, meet a friend, listen to music, make soup. Basically try to get out of my head, give myself some room to process whats going on and make creative connections. What do you most enjoy illustrating? That's a tricky question. I consider illustration a medium of visual communication, and as such it is the brief and context of the project that often excites me more. I'll look for what it is about the project that is interesting, and that makes whatever I have to depict interesting too! But if you're asking me what I like to draw, then it's mostly everything. People, faces, characters, plants and their parts, animals, textures, lately I've been drawing a lot of landscapes. Everything. Except cars and airplanes, I find them to be a bore. We noticed that you travel a lot. Do your travels influence your art? Well, travel affects me as a person, and that finds articulation in my art. There are obvious things like the fact that the world, it's landscapes and people are so diverse and magical that travelling to a new place can be like a concentrated shot of sensory inspiration! There are so many new, exciting things to see on this planet! And some of these places and faces end up shaping the places and faces I have to draw. For instance, I was able to clearly visualise the landscapes in Creatures of the Old thanks to the gorgeous and harsh Death Valley desert in California that I had visited a couple of years ago. I also like travelling to understand the various ways in which we are connected, the ways in which we are all subject to the same forces of life and nature. Also to acknowledge all the ways in which we are diversely different. What I hope for, is for all this roaming around to add to my meta understanding of how this world works. And this understanding does end up tinting my work with a certain sensibility. Kabini Amin graduated as an animator from the National Institute of Design, Ahmedabad. Fascinated by the image-making process and stories in general, she is interested in the medium of illustration as an exploration ground. When not drawing, she likes reading non fiction and undertaking gastronomic adventures. 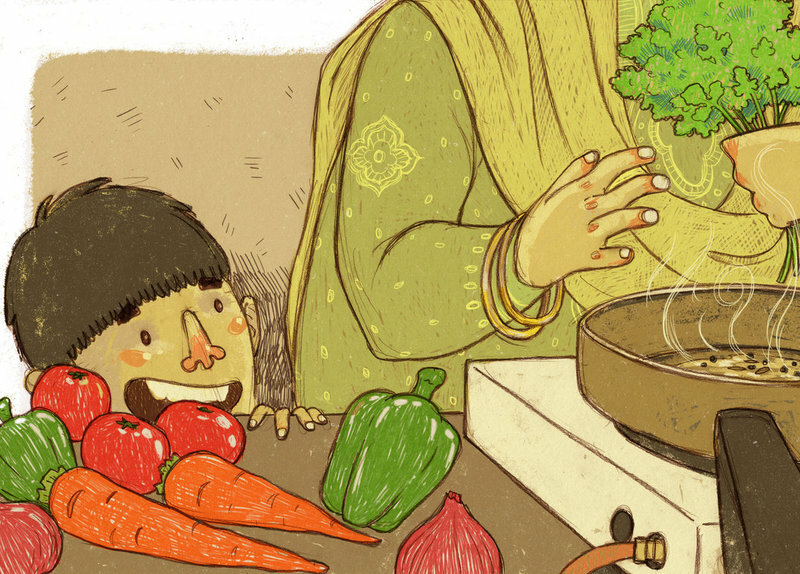 You can read her stories Creatures of Old, Kalpana's Cycle, and Dum Dum-a-Dum Biryani for free on StoryWeaver. These are available in English, Hindi, Marathi, Kannada and Tamil.